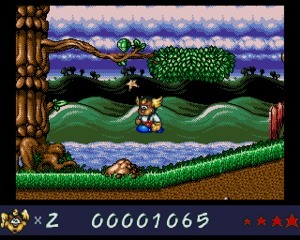 Wonder Dog is a side-scrolling platform game developed by Core Design and published by JVC Musical Industries in 1992 for Sega CD. 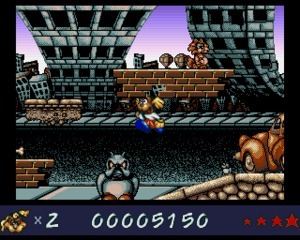 Wonder Dog is a side-scrolling platform game developed by Core Design and published by JVC Musical Industries in 1992 for Sega CD. 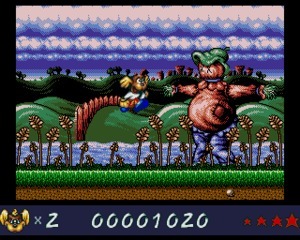 It was ported to the Amiga in 1993. 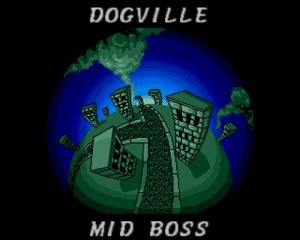 On a distant planet called K-9 a peaceful race of alien dogs is being invaded by the evil Pit Bullies. K-9’s top scientists have no choice but to implement their experimental serum to create a super dog strong enough to save them. After injecting a puppy, he is blasted off the planet in a rather Superman-like fashion, headed for Earth. After a crash landing and discovering his purpose, Wonder Dog heads back home to deal with the Pit Bullies. 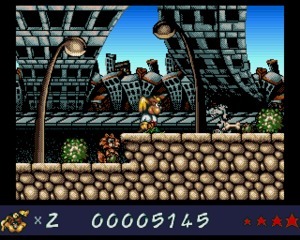 Wonder dog is equipped with a star weapon that can be thrown to vanquish enemies or destroy certain obstacles in his path. His physical abilities include jumping, digging, a little fluttery glide, and, with the right item, he can turn into a Tasmanian devil cyclone. 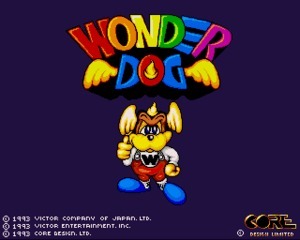 Wonder Dog can also collect bones, gems, and sets of wings to boost his score. 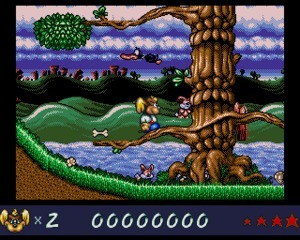 The game contains several stages that are split up into different zones. 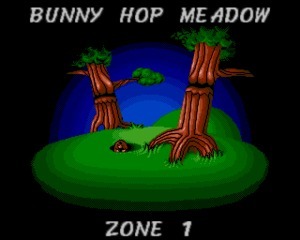 There are various bonus areas to discover hidden around the different stages and zones. 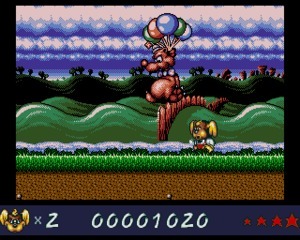 The stages vary significantly from one another and feature their own specific enemies, which are almost always other animals such as bunnies, dogs, cats, flying pigs, and more. There were some pretty mixed reviews of Wonder Dog upon release, but most were more positive than not. 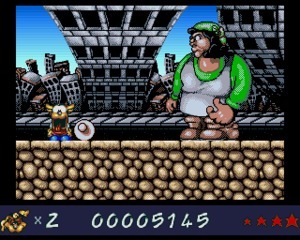 I love platformers myself so it’s a little hard to go wrong for me. Wonder Dog is colorful, comical, and there is plenty to discover on each level. It’s also not overly complicated so it can appeal to any gamer.